Affordable Housing is a Challenge for Many Employees High rents, low homeownership and long commutes are negatively impacting employees’ financial and emotional health. Home ownership for Americans between 18-39 is at its lowest level in US history (41%). The average round trip work commute is 52 minutes, the highest in US history. 75% of Americans believe it is harder for today's younger generations to achieve a middle class lifestyle. 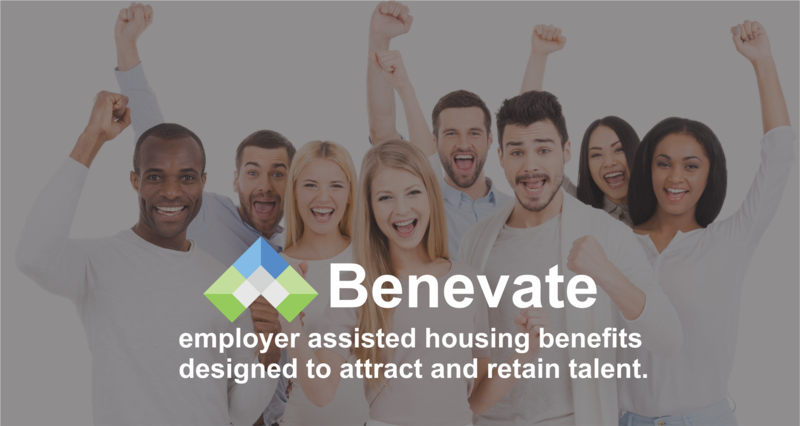 Benevate offers a comprehensive and customizable Employer Assisted Housing solution. Down Payment Assistance - One time contribution to help employees with the down payment for the purchase of a home. Rental Subsidy - Reccurring payment to a property manager for use in offsetting an employee's rental costs. Owner-Occupied Home Repair - One time contribution to help employees repair or rehabilitate their owner-occupied residence. Housing Benefits provide a win/win/win for employers, employees and the community. Most benefit providers avoid ROI discussions. We start the conversation with it. Ask us about our fees at risk based on a guaranteed ROI.